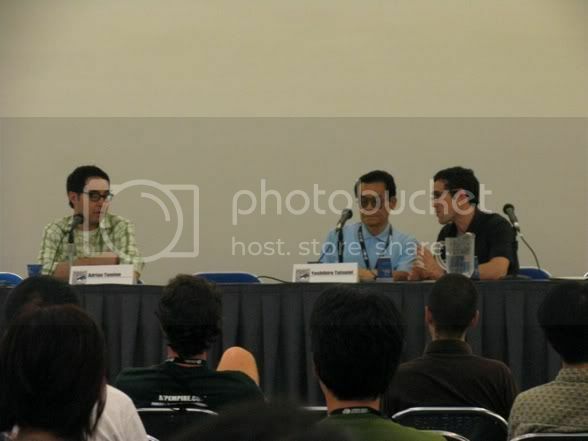 As some of you might remember, Evan attended San Diego Comic Con in 2006, and was able to attend a panel/interview with Yoshihiro Tatsumi and Adrian Tomine. We originally blogged about this last July. We'll work to record any crazy events and happenings that we think might be worth blogging about, and you can add us as a favorite by clicking here.